Failing schools risk causing plans for the government’s so-called Northern Powerhouse to “splutter and die”, the Ofsted chief has warned. 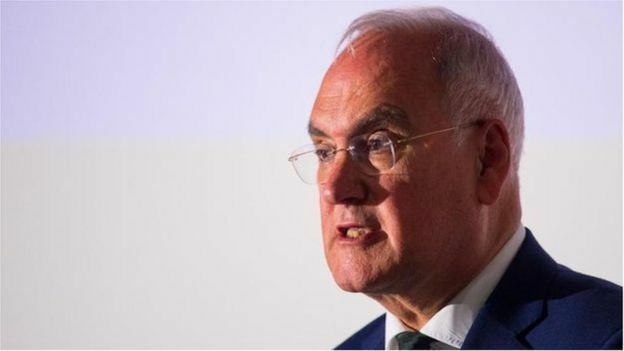 Secondary schools in Liverpool and Manchester are “not firing on all cylinders” due to deteriorating GCSE performances, Sir Michael Wilshaw said. This could result in a “lack of skills” for the northern economic growth plan, a letter from the watchdog said. Manchester City Council said “measures are in place to overcome the dip”. Liverpool City Council said the Northern Powerhouse would be an “empty political slogan” unless it has “more powers to influence education” to deliver the skills businesses want. In a speech to the Institute of Public Policy Research think tank, chief inspector of schools Sir Michael said: “These are the cities that built Britain. He said Manchester and Liverpool “boast eight universities between them, two of which are among the top 200 in the world”. “If these cities can provide a world-class education for youngsters at 18, why on earth are they failing to do so for too many at 11?” he said. Ofsted figures show three in 10 Manchester secondaries and four in 10 of those in Liverpool are rated below good. The proportion of teenagers gaining at least five C grades at GCSE, including English and maths, has dropped in both cities. In separate letters, Ofsted’s regional director has written to education authorities in Greater Manchester and Knowsley, Merseyside, about “concerns” over pupil outcomes. Inspector Christopher Russell highlighted Knowsley because almost two thirds of students failed to achieve five or more GCSE A* to C grades including English and maths. “This is a shocking statistic,” he said. The education system in Knowsley “has already failed a generation” and “is set to continue for yet another generation”, Mr Russell said. Leader of Knowsley Council, Andy Moorhead, replied to Mr Russell in an open letter saying he was “disappointed” by the “lost generation” comment. “In Knowsley, we work in a very open and transparent way with all our partners and with Ofsted – indeed you personally complemented my officers on their approach when they met with you in January,” he said. Performance levels in Greater Manchester, he said, “present a worrying picture for the employment prospects” and “a real risk to the economic and social stability of the area”. Councillor Rosa Battle, of Manchester City Council, said: “We’ve been working non-stop with schools over the last few years to improve outcomes in the city. “Measures are in place to overcome last year’s dip because we’re simply not prepared to sit back and watch our pupils fail,” she said. Nick Small, Liverpool City Council’s cabinet member for Education, Employment and Skills, said: “Sir Michael Wilshaw makes an excellent point. “If our residents – and our young people in particular – don’t have the right skills for the jobs of the future then the Northern Powerhouse will be an empty political slogan.